Hoboken's backbiting and ruthless political climate is back! Rank political power plays in the Mile Square City is combining with an emerging Hudco political civil war featuring the Senator up the hill attempting a double play of his own. Brian Stack a State Senator who doubles as Union City Mayor has been thinking. After mulling over his current two jobs he's added another to his potential list. Brian Stack is vying to be elected Democratic Chair of Hudson County while simultaneously launching a bid to overthrow the current County Executive Tom DeGise with a candidate to be named later. Jersey City Mayor Steve Fulop denies he wants to be the beneficiary of the office. Not everyone believes him. 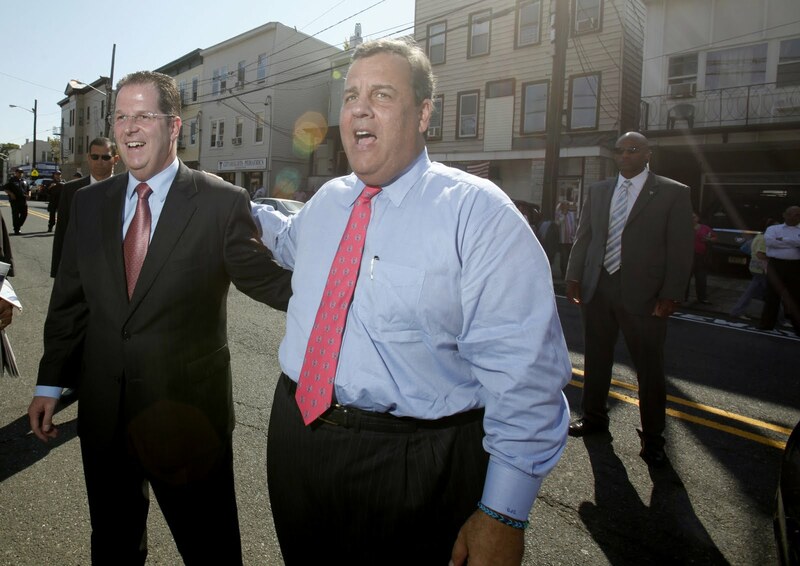 State Senator Brian Stack with former NJ Governor Chris Christie as seen in this vintage photo. Hudson County Democratic Chair and bump off County Executive Tom DeGise leading a Hudco insurrection. He has Jersey City Mayor Steve Fulop on board as an officer and Mayor Ravi Bhalla signed up too. Senator Stack will visit Hoboken on Monday and speak before a select group of the Hoboken Democratic Committee. The select group not invited includes 17 members; among them the Chair Tiffanie Fisher who is also the second ward councilwoman. Who delivered on this less than impolite courtesy? Mayor Ravi Bhalla. 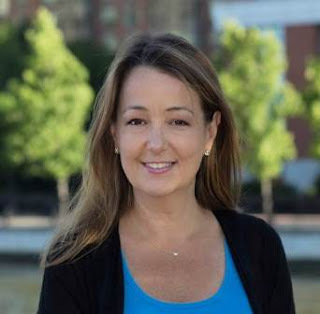 Hoboken's new mayor has joined an insurrection against the HudCo County Executive Tom DeGise while the latter holds almost two full years ahead in office. Some political observers believe this places Hoboken in a less than favorable position, no matter the outcome of the HudCo hostilities. While Mayor Bhalla holds no title or official seat on the Hoboken Democratic Committee; he does have underlings who eagerly do his bidding. For months they've been attempting to overthrow the current Chair who is guilty of 1) being an effective Chair 2) being the Chair who didn't bow to Ravi Bhalla last year nor this one 3) selecting after analysis who's the best candidate to back for Hoboken mayor (Jen Giattino) 4) being proven correct she made the right decision all along in the non-partisan mayoral race (as Hoboken voters are now learning themselves). Attempts at overthrowing the Chair Tiffanie Fisher have been comical. In recent months, the Executive Committee (littered with fresh-faced Ravi Robots) made a play to get the full committee together to update the bylaws with "minor changes." 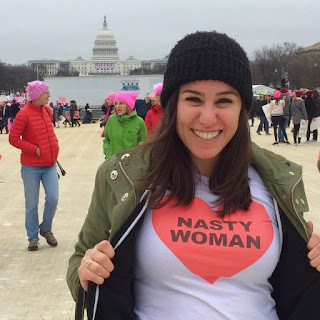 The minor changes proposed were fronted by Rachel Hodes who also doubles as the gal pal to the newly minted position in the mayor's office of Chief of Staff number two held by Jason Freeman. Because when you have the grandest of political ambitions outside Hoboken as the new mayor, one Chief of Staff is not enough. The bylaws changes were hatched with the idea of sticking a fork in the eye followed with a knife in the back. The minor changes were a pretext for calling a committee of the whole where a coup in the form of a vote would see the Chair's term suddenly end prematurely and then vengeance for lack of subservience to the Chair in the mayor's office would follow. And there would be much Ravi Robot rejoicing. For clarity, let's enumerate the complaints succinctly (1) Tiffanie isn't cooperating with our Ravi-directed coup attempts (2) Tiffanie didn't help us get Ravi all the information he needed to plan the coup (3) Tiffanie ruined our perfectly good (but stupid) coup attempt (4) Tiffanie is really not cooperating with our coup attempts. Ravi Robot and uncooperative to their coup attempts. The Hoboken Democratic Committee has been mainly dormant for more than a decade with elections vying between the deceased Reform party and the Russo faction attempting to hold control. The efforts revolved around symbolic authority and maintaining sufficient numbers so the committee could not be turned into a vehicle for routing cash into Hoboken campaigns from out of town. More recently, the Hoboken Democratic Committee has been highly active working against Hoboken's longstanding problems with election fraud. One front in that effort was accomplished by making significant changes to see new poll workers installed and problematic poll practices with previous ones eliminated. Plans to help 2018 NJ congressional campaigns is another objective underway. Both reflect major activity unseen in many years on the committee, if ever. None of this is captured in the highly partisan political attack letter highlighted on Hudson County View. On Monday, Brian Stack will come down the hill and look to reap the support of select members of the Hoboken Democratic Committee. You're all welcome if Ravi Bhalla (who is not a Hoboken Democratic Committee member) invited you. If you're the Hoboken Democratic Chair or one of the 17 damned members, you're out of luck. Talking Ed Note: For those who require another dose of political irony. Who was asked last year to lead the election effort for the Hoboken Democratic Committee under the now defunct Reform banner? Last year, it was then-councilman Ravi Bhalla who urged Councilwoman Tiffanie Fisher to take on the thankless task. She agreed and helped elect numerous people who were inactive locally in Hoboken on any issue eventually being elected the Chair. A bigger plot was planned all along.